Aviram Reichert plays Chopins Piano Concerto No. 1 with the Music in the Mountains Festival Orchestra on Sunday at the Community Concert Hall at Fort Lewis College. Music in the Mountains Artistic Director Gregory Hustis introduces Sundays program at the Community Concert Hall. Heavy clouds, the threat of rain, and a lightning bolt or two. Uncertain weather provided the perfect overture for a program consisting of two big Romantic era works Sunday night in the Community Concert Hall. Conductor Guillermo Figue-roa led the Festival Orchestra in a spellbinding program of Chopins Concerto for Piano, No. 1 and Sibelius Symphony No. 2. That the audience sat mesmerized throughout the two hour program is a tribute to the power of the music and the performance. For 13 years festival audiences have warmed to pianist Aviram Reichert. Chosen more than a decade ago by festival founder and original conductor Mischa Semanitzky from finalists at a Van Cliburn competition, Reichert has brought many great works to the festival stage. For a Chopin Year tribute (2010 is the 200th anniversary of the Polish composers birth), Reichert chose to perform the first concerto, written when Chopin was only 19. The concerto is a virtuosic showpiece for any pianist, and Reichert demonstrated that he has continued to capitalize on his immense skill. The first movement in particular is heavily arpeggiated, rapid articulation of chord structures up and down the keyboard, and requires a high level of technique. As Reichert continues to dazzle audiences with his prowess, he also has deepened in expressive content. That was most clearly evident in the second movement, the Romanze. Before the piano entered in lyrical quietude, muted strings had created an atmosphere of serene calm. Reichert then merged into a beautiful internal duet with bassoonist Laura Leisring. Together, they underscored the movements air of yearning tinged with melancholy. That, too, can be a show stopper, but of a different kind. In contrast and with splintering speed, Reichert and the orchestra entered the final dance-like Rondo with high spirits. Throughout, Conductor Figueroa led the orchestra with an easy flexibility, shaping phrases and shifting tempi as if the musicians had a whole summer of rehearsals. The second half of the program was dedicated to Symphony No. 2 by Finlands great composer, Jean Sibelius. Written at the turn of the last century, its shards of sunlight and shadow coalesce into one of the most moving statements of musical grandeur. To this day, nothing prepares you for its majesty, and the festival orchestra plumbed all of its strength. In fact, Figueroa and the orchestra created an atmosphere of intensity and suspense that lasted for almost an hour. Known for its tradition-breaking structure and over-arching splendor, the work is a study of how brief, seemingly unrelated musical motifs can surface out of apparent chaos into a clear harmonic structure. Fragments appear, disappear, and finally culminate in one of the most remarkable musical climaxes in the history of sound. From the seemingly innocent opening in the strings to the haunting, even menacing interruption of a horn choir, Figueroa never let the tension subside. He maximized contrasts throughout  from barely audible double bass rumblings to blaring brass announcements, from strings so muted they almost disappeared to tubist Richard Whites boldly repeated half-step footprints on the base of the final ascent up the mountain. Along the way, fragments flickered through the composers sonic web in various solo voices, in particular bassoonist Leisring, flutist Jean Larson Garver, trumpeter Stephen Weger, hornist Greg Hustis, and oboist Erin Hannigan. In the andante, it was Hannigans mesmerizing melody that pierced the dark ice. It famously begins with nine repeated B-flats and weaves into the orchestral texture -- so evocative of Sibeliuss musical notion of growth and decay that underpins the entire work. One of the pleasures of the concert hall is to be visually and audibly aware of something in particular. Symphony No. 2 is scored for only one percussion instrument. Without the persistent presence of the timpani, ably played by John Pennington, the work would lack its sense of ineffability. In what must be the longest, most carefully calibrated crescendo in musical literature, the final movements spectacular crest is approached by a subtle and relentless timpani roll  expertly controlled and explosively rendered by Pennington. Its my belief that people hunger for a glimpse of grandeur. Its why many of us live in the mountains. Musical grandeur was ours for a moment Sunday night. Judith Reynolds is a Durango writer, artist and critic. Reach her at judithlreynolds@yahoo.com. Conservatory Music in the Mountains named the winners of its second Annual Conservatory Young Artists Competition, which was held Monday, July 19 at Roshong Recital Hall at Fort Lewis College. The concert showcased the talents of students attending the summer session. The Grand Prize Winner (Festival Orchestra Division) was violinist David Castro-Balbi of France performing Mendelssohns Concerto No. 1 in E minor, op.64. The First Prize winner (String Orchestra Division) was bassist Timothy Chen of Texas, who played Antonio Capuzzis Concerto in F Major, and cellist Katherine Audas of Idaho won Second Prize (Festival Orchestra Division) and the Audience Favorite for her performance of Saint-Saens Concerto in A minor, op.33. The winners received monetary awards in addition to performance opportunities during the Festival. 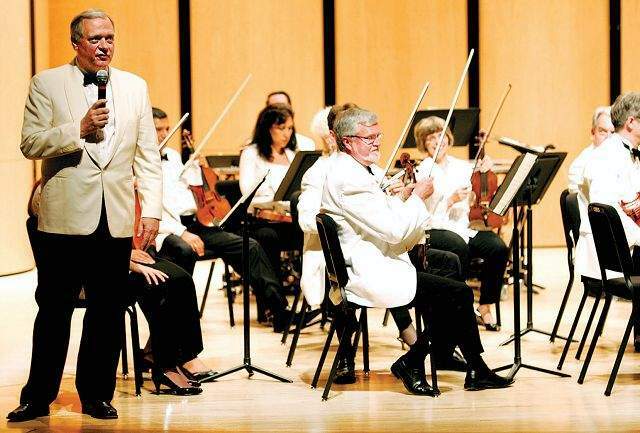 Castro-Balbi and Audas will perform with the Festival Orchestra during the Masterworks concert at 5 p.m. Saturday in the Festival Tent at Durango Mountain Resort under the direction of Music Director and Conductor Guillermo Figueroa. b Family Festivo, Festival Orchestra members, 11 a.m., free, Rotary Park. b Festival Strings, Dmitry Kustanovich (viola), Katherine Jetter (cello), Oleg Sulyga (violin), 12:30 p.m., free, First National Bank lobby. b Winds and More, chamber concert with Aviram Reichert (piano), Paul Garner (clarinet), Laura Leisring (bassoon), Erin Hannigan (oboe) and Greg Hustis (French horn); music by Poulenc, Ravel, Debussy and Beethoven, 7 p.m., $6-$35, Festival Tent at Durango Mountain Resort. b Low Brass, with trombonists Byron Herrington, Christopher Oliver and Rob Graham and Richard White on tuba, noon, free, Town Park, Pagosa Springs. b Violin master class with Grigory Kalinovsky, free, 7 p.m., Roshong Recital Hall at Fort Lewis College. 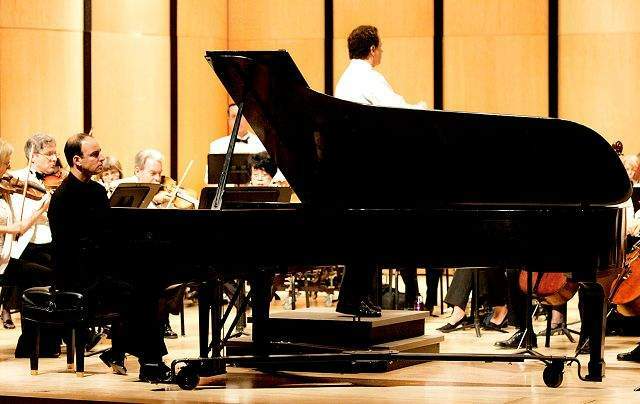 b Next Generation IV, Conservatory Young Artists, 7:30 p.m., $6-$15, Roshong Recital Hall.